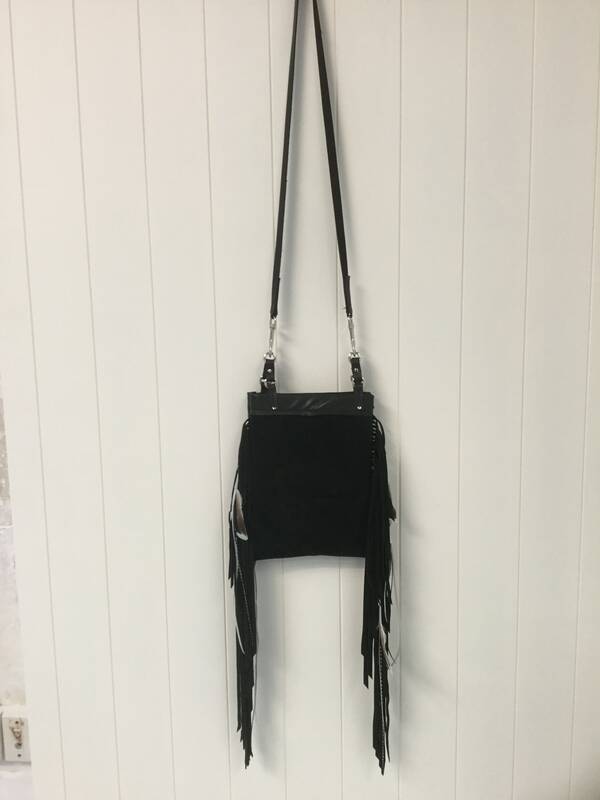 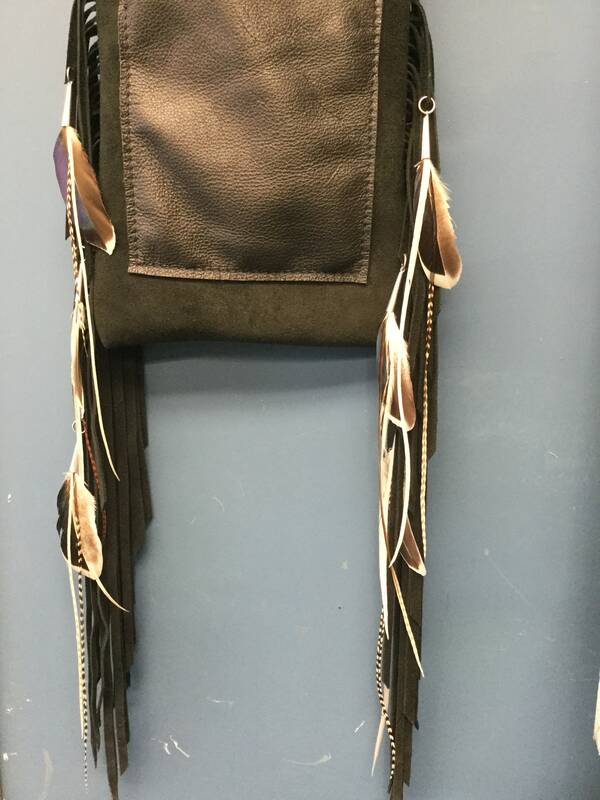 Made from 100% soft genuine New Zealand Cowhide suede leather with feathers. 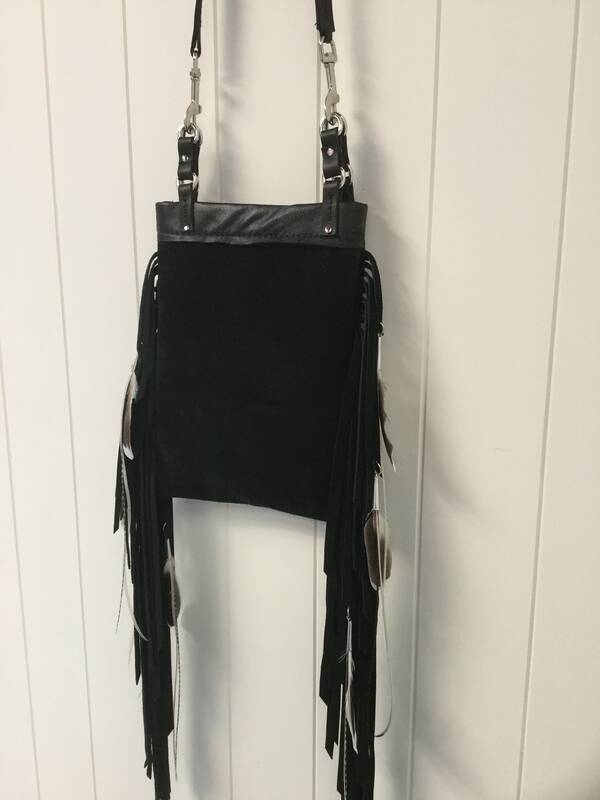 Measures approximately 13inches tall by 11.5 inches wide. 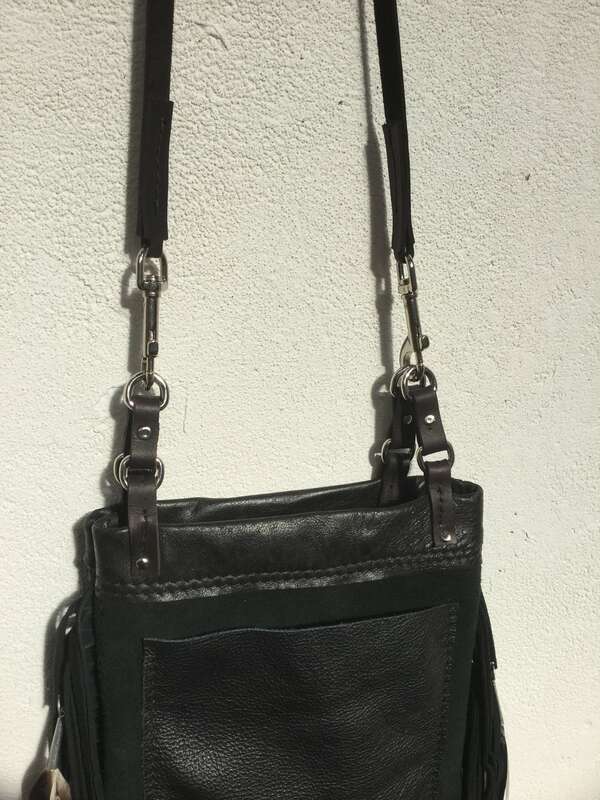 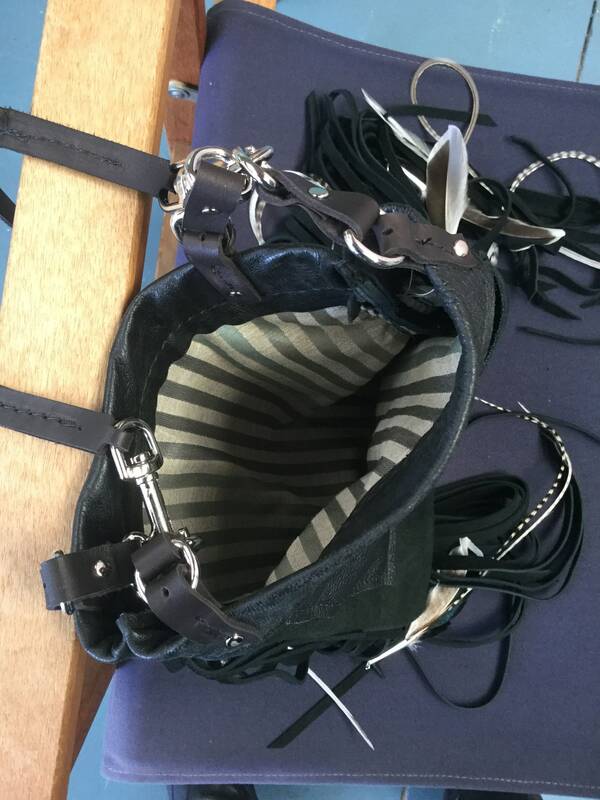 One leather outside pocket in front. 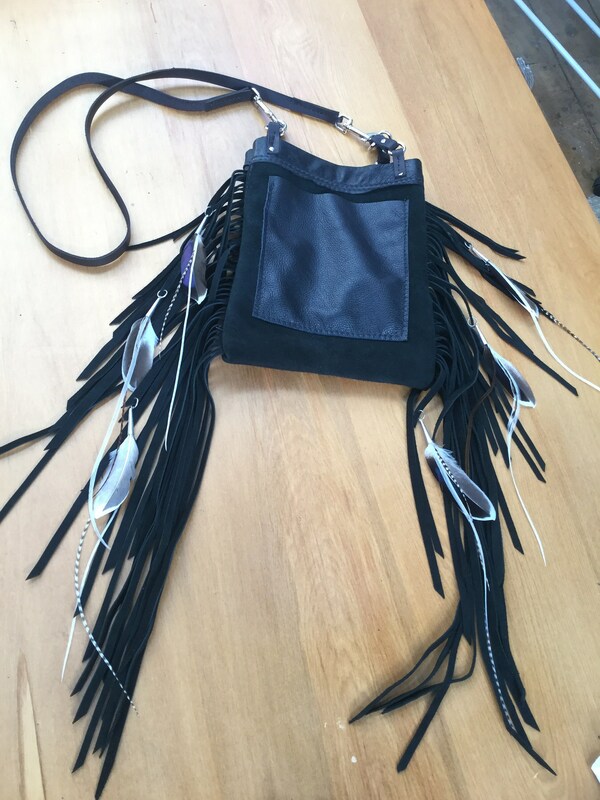 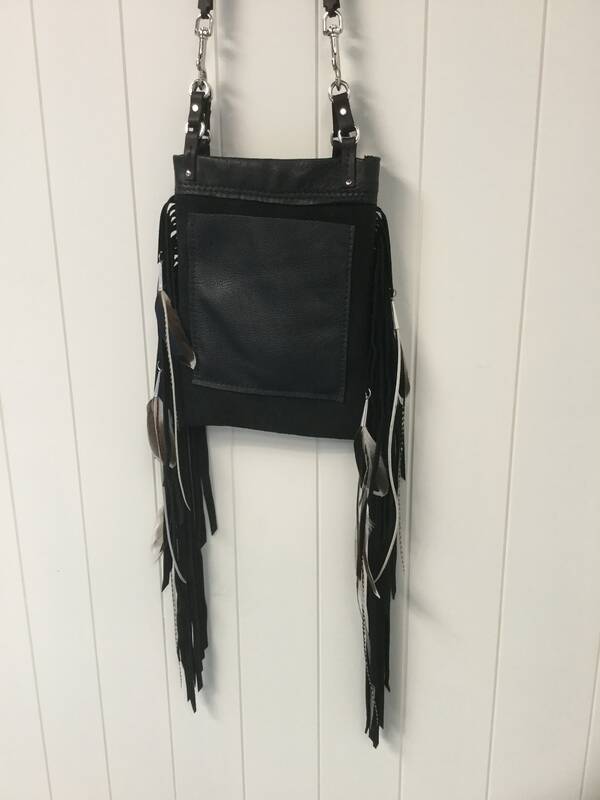 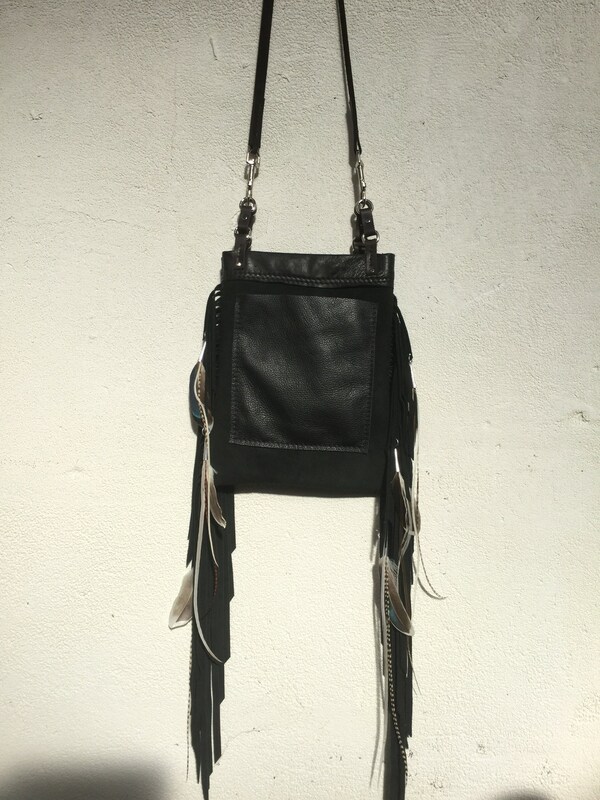 Leather suede Fringe with feathers.